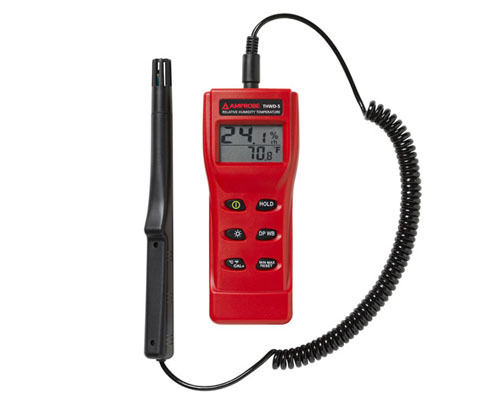 The THWD-5 Relative Humidity and Temperature Meter with wet bulb and dew point is a microprocessor-based psychrometer is designed for HVAC and plant maintenance engineers and technicians. Easy and quick access to wet bulb and dew point values as well as relative humidity and temperature. The THWD-5 is equipped with an extended probe for easy target access, a large dual LCD display, and is tripod mountable.